It has been four weeks since actress Vanessa Marquez, best known as Ana Delgado in Stand and Deliver (1988) and as Nurse Wendy Goldman on the TV show ER, died. Vanessa and I were extremely close friends and my grief is still palpable. My mother did not have my brother and I until she was 49, so I am at an age where my parents, my aunts and uncles, several cousins, and even my best friend Brian have died. That having been said, I have mourned none of them as much as I have mourned Vanessa. The fact is that I loved her more than anyone else in my life. I still do. Even taking that into account, I think a very good argument can be made that Vanessa Marquez should be included in this year's TCM Remembers, the annual "In Memoriam" that Turner Classic Movies does to honour those figures in classic film who have died each year. While Vanessa did not do that many feature films (8 in total), she still had an impact as a movie actress. Stand and Deliver is widely regarded as a classic, and the character of Ana Delgado remains one of the best loved in the film. In a movie filled with great performances, Vanessa's performance is one that stands out for many. Not only is Stand and Deliver widely regarded as a classic, but it was also a pioneering film in Latino cinema. It was one of the first films to have a largely Latino cast to be written and directed by Latinos. Vanessa made other films besides Stand and Deliver. While Blood In Blood Out (1993--also known as Bound by Honor) received somewhat mixed reviews, it does have a cult following in the Latino community. I think the comedy Twenty Bucks (1993) is a gem just waiting to be discovered. It was well received by critics and contains several good performances, among which is Vanessa's performance. She is not on screen for very long, but she leaves a lasting impression in a movie full of colourful characters. While some of Vanessa's films weren't that good (I don't think Maniac Cop 3: Badge of Silence will be hailed as a classic any time soon...), Vanessa always was. Of course, Vanessa Marquez worked a good deal in television and her best known role remains that of Nurse Wendy on ER. Nurse Wendy is one of the most popular of the secondary characters on the show, and many people noticed when she disappeared after the third season (myself among them). For many Wendy remains their favourite character on ER. 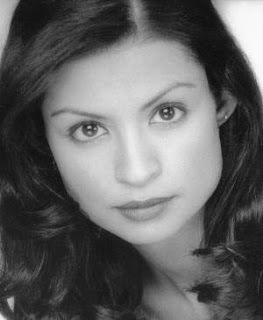 At the time that she was on ER, Vanessa was one of the few Latinas to appear regularly on television. In both television and film, then, Vanessa was something of a pioneering Latina actress. Indeed, I have been told that in the Latino community of Southern California, Vanessa was royalty. For Turner Classic Movies fans Vanessa Marquez might have even been more familiar as a fellow TCM fan than she was an actress. There was no bigger TCM fan than Vanessa. She was one of the original members of #TCMParty and she often live tweeted to movies on Turner Classic Movies. Vanessa was well loved by her fellow TCM fans and was known for her kindness, her generosity, and her graciousness. Paula Guthat, one of the founders of #TCMParty, called Vanessa "the sweetheart of #TCMParty" and I have to agree with that assessment. When news of her death spread through the TCM fan community, I believe it was the greatest outpouring of grief I have seen since the death of Robert Osborne. Between her status as a pioneering Latina actress and one of TCM's biggest fans, I very much believe that Vanessa deserves to be included in this year's TCM Remembers. Indeed, for Vanessa I can think of no higher honour than for her to be memorialised in TCM Remembers, alongside other classic movie stars that she loved. Vanessa was immensely talented and I know many of my fellow TCM fans loved her dearly. If we can get her included in this year's TCM Remembers I know that she would be thrilled. 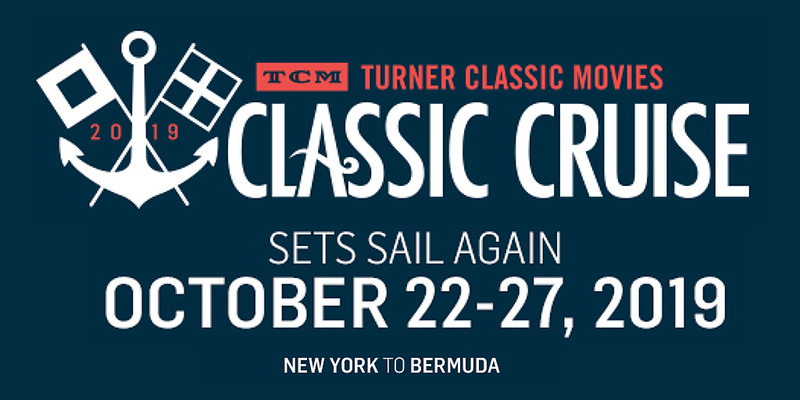 For those of you who were disappointed when Turner Classic Movies discontinued the TCM Classic Cruise, I have some good news. 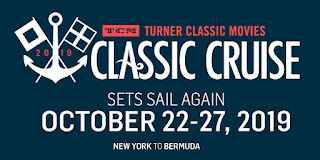 There will be another TCM Classic Cruise from October 22 to October 27 2019. It will be aboard the Disney Magic. For those of you unfamiliar with the TCM Classic Cruise, it is essentially the TCM Classic Film Festival on water. There will be viewings of classic films in the ship's theatres, discussion panels, special presentations, and other classic movie themed events. The Disney Magic will sail from New York to Bermuda. Guest have yet to be announced, but Ben Mankiewicz will host. To learn more about the cruise, go here. When it comes to American television in the late Fifties, it is best remembered for the huge number of Westerns that aired during the era. That having been said, there was another cycle on American television that was also notable, one towards detective shows. It was during this period that Richard Diamond, Private Detective; 77 Sunset Strip; Philip Marlowe; Johnny Staccato; and Michael Shayne debuted. Among the most famous detective shows to debut in the late Fifties was Peter Gunn. While the series only ran for three seasons, it has persisted in syndication ever since and remains one of the best known detective shows of the era. It premiered on September 22 1958 on NBC. Peter Gunn was created by Blake Edwards, the well known movie director responsible for such classics as Operation Petticoat (1959), Breakfast at Tiffany's (1961), The Pink Panther (1963), and The Great Race (1965). Blake Edwards had created the radio show Richard Diamond, Private Detective, which debuted on NBC in 1949. It would later be adapted as a TV series in 1957. In 1954 Mr. Edwards had directed an unsold television pilot titled Mickey Spillane's 'Mike Hammer! ', starring Brian Keith in the title role. Although Peter Gunn would become Blake Edwards's best known detective show, it was then actually the third time he had visited the genre on television. The show was originally going to be titled Gunn for Hire, but Paramount complained that the tile was too close to that of their 1942 feature film This Gun for Hire. 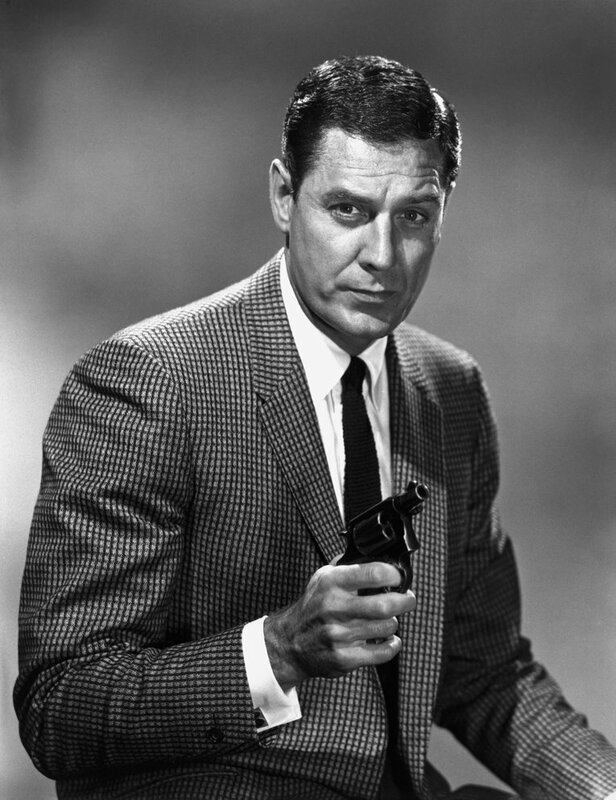 Peter Gunn centred on the detective of the title, who was played by Craig Stevens. Gunn was a former police officer who worked out of Los Angeles. He frequented a jazz club called Mother's, where his girl friend Edie Hart (played by Lola Albright) worked. The owner of Mother's was simply known as Mother, and had run speakeasies during Prohibition. She was played by Hope Emerson. Among Gunn's friends was Lieutenant Charles "Chuck" Jacoby, played by Herschel Bernardi. Peter Gunn was a TV show known for its style. It featured a good deal of modern jazz, numbering among the first TV shows ever to do so. Not surprisingly, prominent jazz musicians occasionally appeared on the show, including trumpet player Shorty Rogers, saxophonist Ted Nash, and drummer Shelly Manne. The show is still remembered for the "Peter Gunn Theme", written by Henry Mancini. It has been covered many times since. In 1959 RCA Victor released a soundtrack album with music from the show titled The Music From Peter Gunn. The theme itself reached no. 8 on the Billboard Hot 100. The show as also known for its often stylish clothing. Peter Gunn's usual fee was $1000, and this was often reflected in the clothes he was. Lola Albright's gowns were provided by the Jax boutique in Beverly Hills. Peter Gunn proved to be somewhat successful. For its first season it ranked no. 16 out of all the shows on the air. Unfortunately, ratings for Peter Gunn dipped in its second season and NBC cancelled the show. It was picked up by ABC for its third season. For its third season Peter Gunn ranked no. 29 out of all the shows on the air for the year. Sadly, it would also be its last season. The show ended its run at the end of the 1960-1961 season. The show was also nominated for several Emmy Awards, all of them in 1959. Craig Stevens, Herschel Bernardi, Lola Albright, and Hope Emerson were all nominated in the acting categories. The series itself was nominated for Best Dramatic Series - Less Than One Hour. Blake Edwards was nominated for Best Direction of a Single Program of a Dramatic Series - Less Than One Hour for the episode "The Kill", as well as the Best Writing of a Single Program of a Dramatic Series - Less Than One Hour for the same episode. Despite the number of Emmy Awards for which it was nominated, Peter Gunn won none of them. While Peter Gunn ended its network run in 1961, it would not be the end for the private eye. Craig Stevens reprised his role as Peter Gunn and Blake Edwards handled both the directing and writing chores on the 1967 movie Gunn. None of the rest of the original cast appeared in the film. In 1989 a pilot for a new series, also titled Peter Gunn, aired on ABC. It was written and directed by Blake Edwards. The pilot starred Peter Strauss in the title role. More recently, a new Peter Gunn series was in development at the cable channel TNT in 2013. The new series never came to be. Of course, while the show was still on the air there was a novel published in 1960 and comic books published by Dell Publishing, as well as a board game. Although it ran for only three years, Peter Gunn would prove to be among the most influential detective shows of all time. The initial success of Peter Gunn would lead to further detective shows on American television in the late Fifties and early Sixties. What is more, it prove to have a lasting impact on detective shows and movies released since then. Peter Gunn forged a link between the detective genre and jazz music that has never quite gone away. Peter Gunn persists in reruns to this day. The entire series has been released on DVD and it is also available on the streaming service Amazon Prime. Peter Gunn may have only aired for a few years, but it has proven to be popular for decades.